OPI makes it easy with "You Are Outta Lime" green and "My Gondola or Yours" Black. Just cover the nail with the green, then follow the steps to add the black. Cover with a clear top coat to seal. New science and new innovations in hair re-growth, thinning hair and scalp care are constantly being introduced and Beauty Care Choices has the most current products available for improving hair growth, stimulating the scalp and hair follicles and giving you a better looking, healthier head of hair! Need more information or help in deciding which products are right for you? Our licensed cosmetologists are just a phone call away. Let us help! The best way to think of the way hair grows is to picture a garden. How well it grows is completely a result of what is happening “underground.” Like a garden, a normal hair cycle should lead to hair growth. Growth cycles are important because when they go awry, that is one of the reasons we have hair loss. Things that interfere with the growth cycle -- like medication, illness, infection, or chemicals -- have the potential to stop hair from being formed properly. Hair grows in three different cycles: anagen, catagen, and telogen. About 90% of the hair on the head is in the anagen, or growth phase, which lasts anywhere from two to eight years. The catagen, or transition phase, typically lasts 2-3 weeks, during which the hair follicle shrinks. During the telogen cycle, which lasts around two to four months, the hair rests. An overwhelming majority of the time the hair is on the scalp, it is growing. Only about 10% of the strands are in transition or resting at any one time. Hair grows about 6 inches a year for most people. Check your hair loss facts! Styling Products like hair spray and dye can make you lose your hair forever. False: If you overdo it with products or don't use them right, hair can get brittle. That could cause the shaft to break. But any hair loss should be temporary. Permanent loss comes when the root of your hair is hurt. To keep your hair healthy, stagger appointments so you get a perm one time and color the next. See if you can go a little longer between touchups than your stylist recommends -- maybe 10 weeks instead of 8. Skip "long-lasting" sprays. While you're at it, let your hair air dry when you can to give it a break from harmful heat. Brushing your hair 100 strokes a night helps it grow. False: It's OK to put down that hairbrush! Brushing that much can cause split ends and breakage. Also, use a wide-toothed comb. It keeps you from tugging at tangles and will do less damage. Your best bet is to use conditioner first. Comb curly hair while it's damp and let straight hair dry a little first. Stress can make your hair fall out. True: Dealing with drama takes energy away from hair growth and redirects it to more important body needs. About 6 weeks to 3 months after stress starts, you may notice hair loss. It could take a while, but hair starts growing back once things are under control. If you know something hard is coming up, find ways now to ease your worries. Your diet affects your hair. True: When you don't get enough iron or protein -- or you get too much vitamin A -- your hair can fall out. Get protein from meat, eggs, and beans. Get iron from fortified cereal, spinach, and clams. You can use supplements, but it's better to get your vitamin A from food so you don't overdo it. Some people notice hair loss when they lose more than 15 pounds. The hair loss usually starts about 3 to 6 months later, but the hair will grow back on its own. We always get asked about dandruff shampoos. What are the top performers of professional salon shampoos? Well a survey of over 200,000 Modern Salon Instagram followers gave us their top four and now we'll share them with you. Redken Scalp Relief. It is a 21 days treatment that gives great results. Pyrithione zinc fights dandruff, glycerin hydrates the scalp and lavender extract soothes and clarifies. Kenra Professional Dandruff Shampoo. It has 1.9% zinc - most dandruff shampoos only have 1%. Prescription is 2%. Matrix Biolage ScalpSync Anti-dandruff Shampoo. It's anti-bacterial, calming and weightless, plus it gives hair great body. Tigi BedHead Reboot Shampoo. It rebalances the pH of the scalp to help it retain moisture plus has bacteria fighting properties. 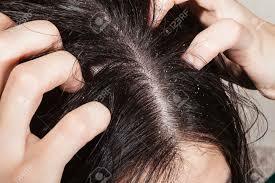 Psoriasis and Dandruff be gone! I had pretty bad psoriasis and dandruff. Flakes on my shirt, scalp was red and scabby. I used this product 2 or 3 times and my scalp cleared right up. It doesn't smell great, but it's kind of like gasoline: you learn to secretly like the scent. I just follow up with a scented conditioner and I don't have any problems with my scalp. Would Recommend! Sometimes we like the look. Sometimes we want the look. Sometimes we just don't have time and have to deal with the look. However it happens, second day hair can lack shine and luster. Even if you deliberately have second-day hair because your style that day is an up-do or braid (which are both much easier with second day hair) you still want hair to have luster and shine! That's where products like dry conditioners and shine sprays come it. Everyone should have a can on hand! Some of the best are at Beauty Care Choices. Below, we've suggest three different brands of each. Remember too, Beauty Care Choices has licensed cosmetologists as our customer service staff, so you can always call if you have specific questions about what product is right for you! (866) 409-7227. Amika has both Perk Up Dry Shampoo and Silken Up Dry Conditioner. They are quick to use, leave your hair feeling clean. The Silken Up also has great detangling power! CHI Dry Conditioner is waterless. It gives you great manageability between shampoos and adds a nice luster. Plus it also does a great job detangling hair. Pureology also has a Fresh Approach Dry Shampoo and Fresh Approach Dry Condition. They restore hair softness, add shine and condition as they reduce frizz and static. TIGI Bed Head Headrush gives you a super shine without any oily look. It has a light citrus scent that makes you feel totally fresh! The superfine mist works great on any length hair. Joice K-Pak Color Therapy Dry Oil Spray will increase shine and reduce breakage. It goes on so evenly because of the Ultra Fine mist. L'Oreal Professional has Mythic Oil Reinforcing Milk. It finishes a style with shine and softness, plus provides long-lasting humidity protection. If you have baby-fine hair, this one is perfect as it gives you easy detangling. 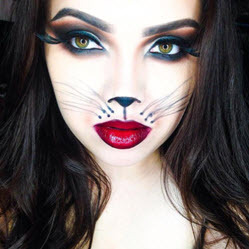 Feeling spookily ambitious this year for Halloween? 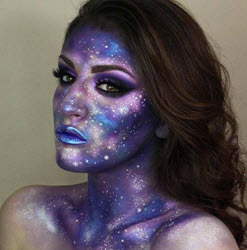 There are so many ideas for creative make-up, it's time to get your creative blood flowing. Just a reminder: Be sure you apply a good moisturizer to your face before applying your Halloween face. 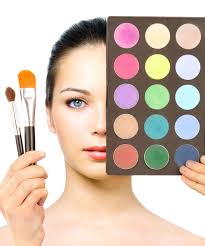 Glopping on the make-up can dry your skin quickly, so give your skin protection. Most people have hair spray in their bathroom cabinet. Should you just spray it on top of your hair to give it the desired hold or can you also apply it close to the hair roots? Which of the many hair sprays should you use for different purposes? 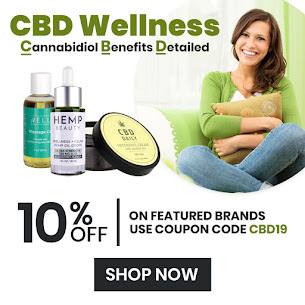 There is a broad spectrum of hair nurturing sprays for certain hair structures (e. g. curly or color-treated and therefore dry hair); there are also hair sprays, which protect against the effects of intense sun exposure. Perfume-free hair sprays are available for people who are sensitive to fragrances. You should select hair spray according to its purpose. 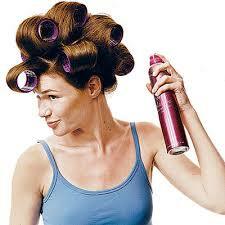 Use hair spray for light hold if you like your hair to still move naturally. Hair spray for strong hold keeps your hair in place in storm and most weather. You may have spent much effort on an elaborate hair style and would like to keep it intact for a while. In such a case, hair spray with ultra-strong hold serves your purpose. Some hair varnishes are suitable for styling individual strands of your hair or very short hair styles. Apply hair spray as follows if you want to give your hair more volume: Shake your hair while holding your head upside down. Then throw your hair back again without too much force. Lift individual strands of hair, and from a shorter distance apply a little hair spray underneath the strands. Allow the hair spray to dry before moving to the next strand. Tip for women with bob haircuts: Slightly lift the covering hair and apply the hair spray at an angle from below toward the hair ends. This provides marvellous hold to bevelled side hair. 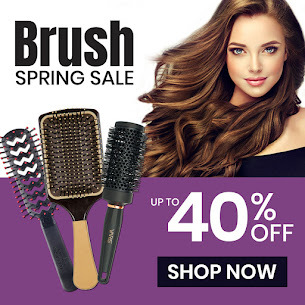 Right now you can save up to 50% on all hairsprays...click here to see the savings on your favorite brand. Sophisticated line of makeup - Sorme. For over 20 years many professionals teamed up with some of the finest formulators to bring this exceptional line to enhance natural beauty. Formulated with plant botanicals, natural minerals, vitamins and age-reversing peptides that protect and improve your skin. Keratage Age Defying Hair Care has therapeutic properties from the Dead Sea. Harvested from the Southern end, where the mineral content of the water is at its highest. These minerals are known to treat, detoxify, cleanse & rejuvenate the skin and hair. Healthy, safe & organic hair product line for the next generation. Glop & Glam multi-national brand and leader in the children’s hair care market. Delivering salon professional shampoos, conditioners, and styling products, formulated for fun loving kids of all ages, with safe and nourishing ingredients. Made in the USA. Active Plant Cells from the Egyptian Blue Lily plant are cultivated for their anti-aging and skin balancing properties. This smart cell therapy better anticipates and helps slow down the aging process. Eprouvage Natural Peptides help create thicker, fuller-looking hair. Vegetable, Soy and Rice Keratins absorb quickly into the hair without residue build-up and help to strengthen weakened and damaged hair. Contains anti-inflammatory ingredients and is sulfate, gluten and paraben FREE! Your 20s and 30s are the decades to let your natural beauty shine! 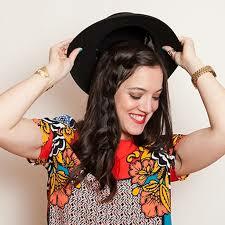 The biggest mistake women in this age group make: trying too many trends at once. These are still the years when women want to look trendy and modern, but too often they try too many trends all at the same time. 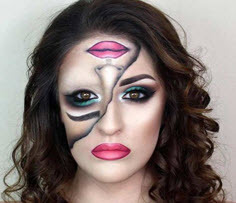 never wear more than one trend on your face at a time. In your 40's, toss away your cakey face powder. This is the decade when skin is really dry and most powders will dry it further and accentuate fine lines and wrinkles. If you must use powder to tame oily areas, choose one that is finely milled and apply it sparingly, using a brush instead of a puff. For women in their 50s, less is definitely more. You want to minimize the amount of product you put on your face. Foundations should be lighter and applied only where you need it; avoid powders; and don't overdo it on the eye makeup. Bypass heavy eye shadow altogether. Instead, smudge a soft pencil liner in charcoal gray or soft brown close to the edge of your upper lid. Then use mascara only on the upper lashes. For the biggest boost, use an eyelash curler. It's like giving yourself a temporary eye lift. If you haven't used one since your 20s or 30s, now is time to use it again. Makeup tips for the 60 + : If you're not ready to go under the knife, or simply want to accept the aging process with grace, makeup can help. The key is to keep your look simple. The biggest makeup mistake older women make is wearing too much eye make-up -- and still trying to find and darken the crease in the eye socket. By the time you reach 60, the only way you're going to find that crease is with the help of a good surgeon. So instead, just use a soft pencil to smudge some color near the lid and leave the crease alone. Go easy on foundation and wear a pink-toned blush and moisturizing lipstick. If you want to color your hair, go lighter, not darker. And never darken your brows. Going darker with hair or brow color is a big mistake. It creates a harsh look that emphasizes lines and wrinkles. The best advice for all women is to let your natural beauty shine and "be strong and be confident!"